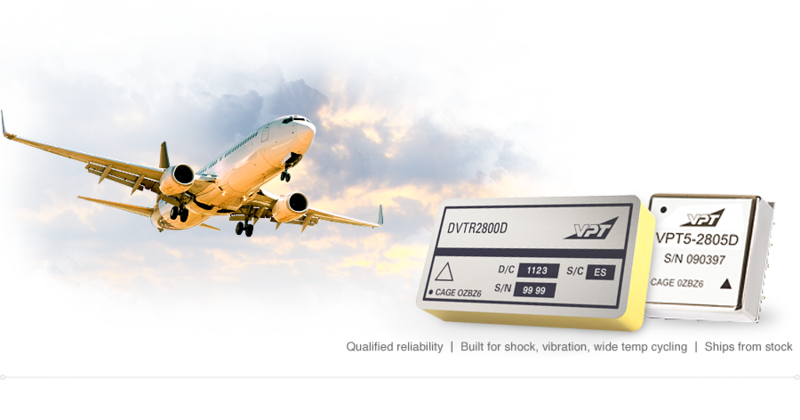 DC-DC Converters for Commercial Avionics | VPT, Inc.
For decades, VPT has delivered faithfully on these promises to manufacturers including Airbus, Bell Helicopter, Boeing, Dassault, and Honda, to name a few. Designed specifically for hi-rel applications including avionics, VPT’s off-the-shelf DC-DC converters and EMI filters offer extreme reliability over temperature cycling, meet industry standards, and are typically delivered from stock. Get your design off the ground with VPT today. To begin, choose the product series from the table below.